We Tried 6 New Anti-Aging Skincare Devices—Do They Work? It was a scorching day in July, and I was feeling rather overwhelmed. Strewn before me were a variety of futuristic-looking devices, all in varying shades of chrome and glossy white plastic, with sleek robotic names that could share a family tree with Siri: JeNu, Tria, Genius. They all had different purported methods of doing so, but they all had the same job: to make me look younger. This is the part where I sheepishly tell you that I'm 25—I was 24, actually, when I set out to tackle this project all those months ago. I take painstaking care of my skin and it's in great shape as a result, and I like to think that I'm taking all the preventative measures I can to keep my complexion looking young for as long as possible. But lately, I've noticed whispers of what's to come: A smattering of fine lines across my forehead, since I always raise my eyebrows when I talk. Crinkles around my eyes from smiling, which I don't mind as much. Deepening parentheses around my nose and mouth, which I do. It's not anything to make me dunk my head in a vat of retinol (just a couple of drops will do, thanks), but I'm giving it all the wary side-eye nonetheless. And since Botox isn't on my near or long-term agenda, I'm beginning to brainstorm alternatives. Which brings me to the small robotics convention sitting on my desk in July. Each of these devices advised anywhere from several weeks to a few months to see results with regular use, which meant that I had to figure out a schedule to test them all out separately so that I'd be able to accurately chart their efficacy. The challenge was daunting, to be sure. But if the future of my complexion was at stake, I was sure as hell going to try. Keep reading to see how the different devices stacked up. 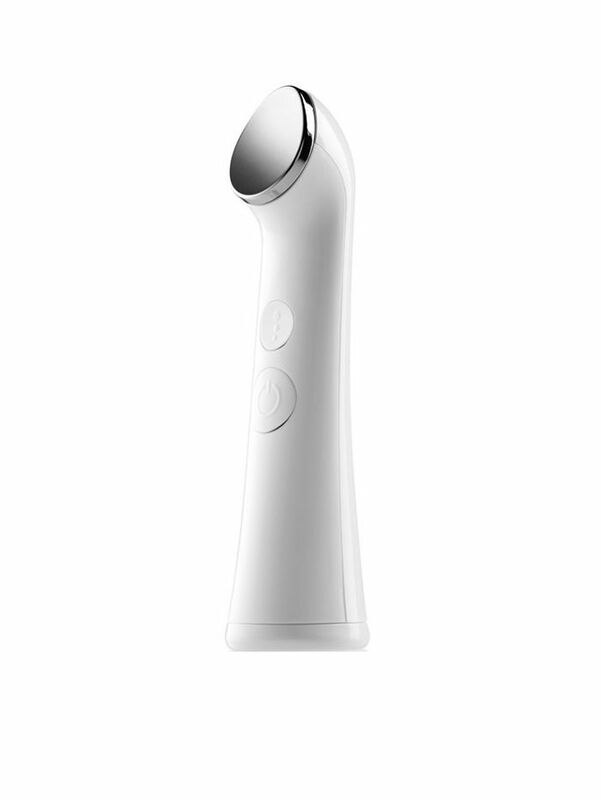 While it's not specifically anti-aging, the JeNu infuser utilizes ultrasound technology to increase product absorption. (Amplify the power of my favorite retinol? Don't mind if I do.) In laymen's terms, the idea is that it vibrates at an ultra-rapid rate, pushing your chosen product deeper into your skin. You begin by applying your product as usual, then add a drop of the brand's conducting gel onto the silver plate, press the on button, and run the tool over your skin in circular motions. This was one of the few devices where I saw immediate results—essentially the results I was used to by using my go-to products on their own, but visibly amplified. And thanks to the ease of use and its small size (I don't know where I'm supposed to store all of these little machines in my tiny apartment! ), it has quickly become a staple in my routine. 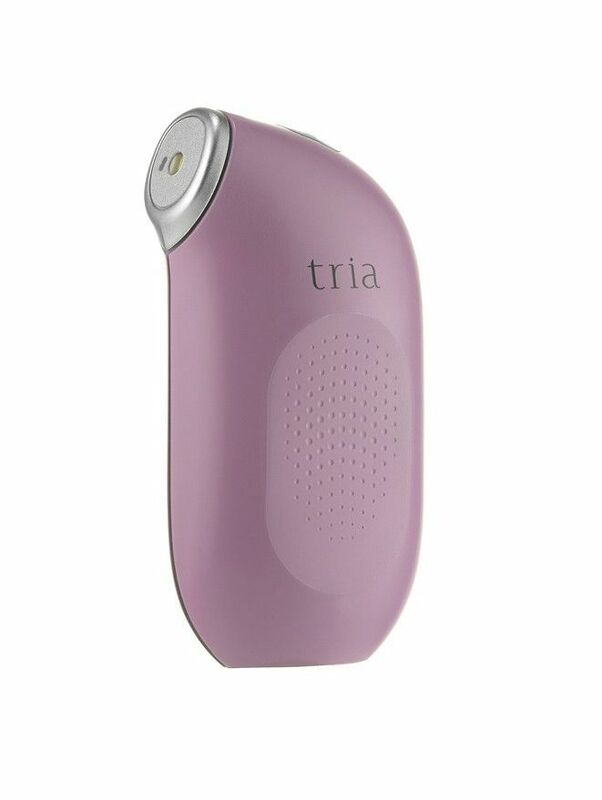 I already own (and love) Tria's full-size laser, so I essentially knew what I was in for. But I was nonetheless excited at the prospect of targeting those results at the fine lines around my eyes—and more importantly, my under-eye bags. My derma-roller is usually my tool of choice for this, but in the name of experimentation, I put it aside for a couple of months to see how this device held up in comparison. First off, I love the portability of this little device—it's tiny enough to carry around in my pocket if I wanted to. But don't let the size fool you because it's small but mighty. Those laser currents are no joke—I'd liken the sensation to snapping rubber bands against my face. Fun? Not exactly. But I can stomach two minutes per day, especially when the time commitment cuts off at eight weeks. And by that point, the skin around my eyes was completely smooth and line-free. (Two words: Creaseless concealer. 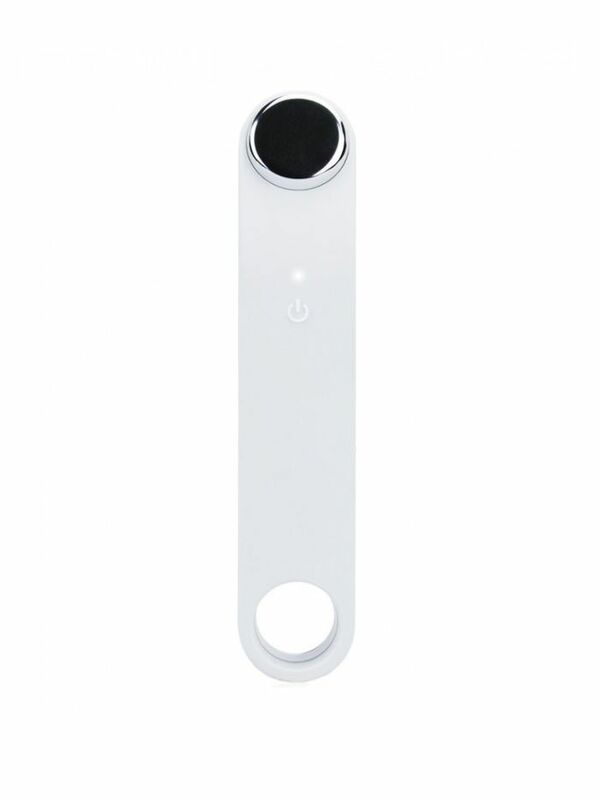 I hate to tease since Skin Inc's first skincare device won't be available to purchase in the U.S. until next year. But after receiving the Tri Light on my trip to Ibiza with the brand in September, into the lineup it went. 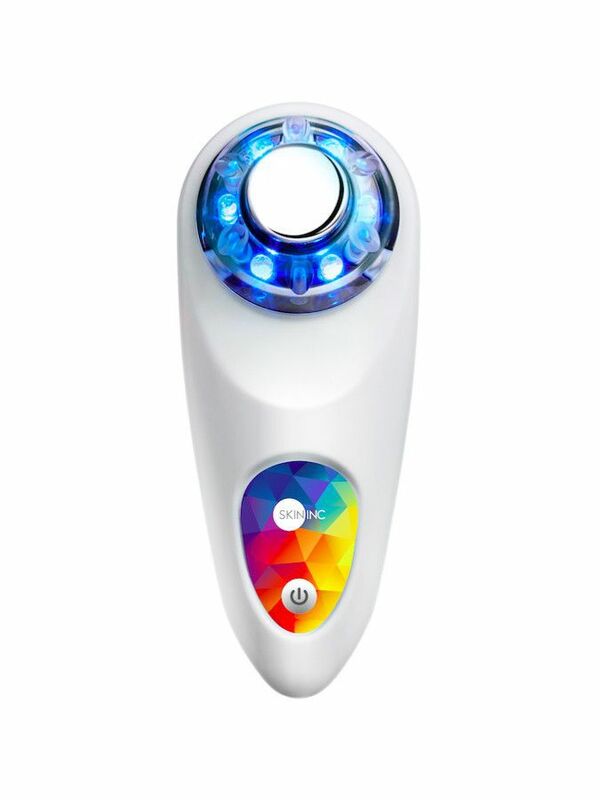 This LED tool, which is designed to be used in conjunction with your favorite serums, has three different light settings designated to different skin issues: Red to boost collagen and soften lines, yellow to even skin tone, and blue to reduce acne. I've found that it's a great mindless Netflix activity, and have actually been pretty impressed with each setting. While the red light really does seem to contour and plump the skin a bit (though it could also help that I'm running the device along my skin for several minutes like a facial massage), my favorite is the yellow: Not only does it visibly brighten my complexion, but it also has proven immensely helpful in lightening stubborn psoriasis scars from a flare-up that overtook 90% of my body at the end of the summer. I have a feeling that 2017 will usher in all kinds of tools that utilize ultrasound technology—there are, after all, two very similar devices on my roster here. Like the JeNu, Arbonne's Genius Ultra uses small vibrations to push your skincare products deeper into your skin. I found that both of these devices really delivered on their intent quite well, so interestingly, their pros and cons really came down to design and other features. While I prefer the sleek, slim look of the JeNu, I do appreciate that the Genius Ultra stands up on its own. Arbonne's device also has three different vibrational settings, while JeNu sticks with one. 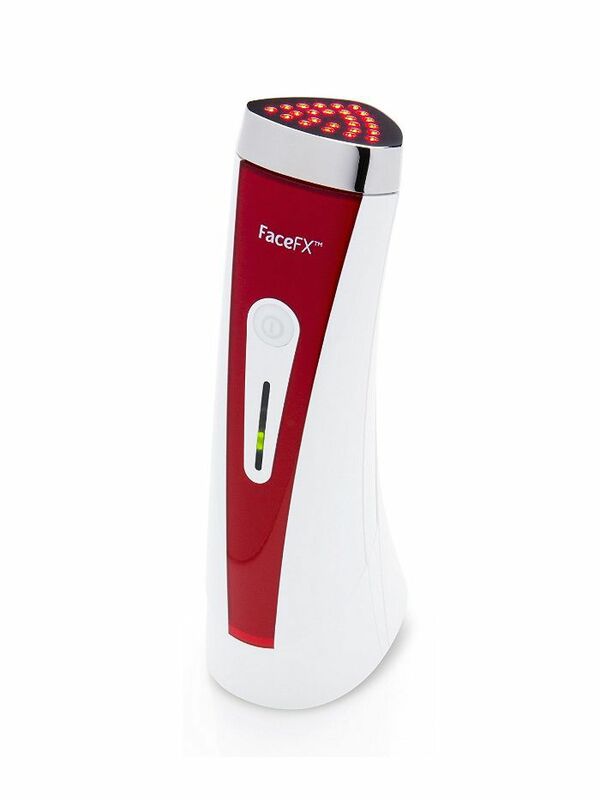 The FaceFX is essentially an entire device devoted to the red setting of Skin Inc's Tri Light: The LED light is channeled to boost collagen, stimulate cell turnover, and diminish pores when used over the course of eight weeks, for five to seven minutes per day. I was really hoping that this might be the answer to the smattering of oversize pores sitting on my nose, thanks to constant blackheads, but sadly, it was no dice, even after steadfast use. I did, however, notice that it made a marked difference in my skin texture, which I can only guess is owing to the turnover of fresh cells. Still, I'm not convinced I'd stick with something that's such a time commitment (and a tad bulky) when I can get similar results with my derma-roller. 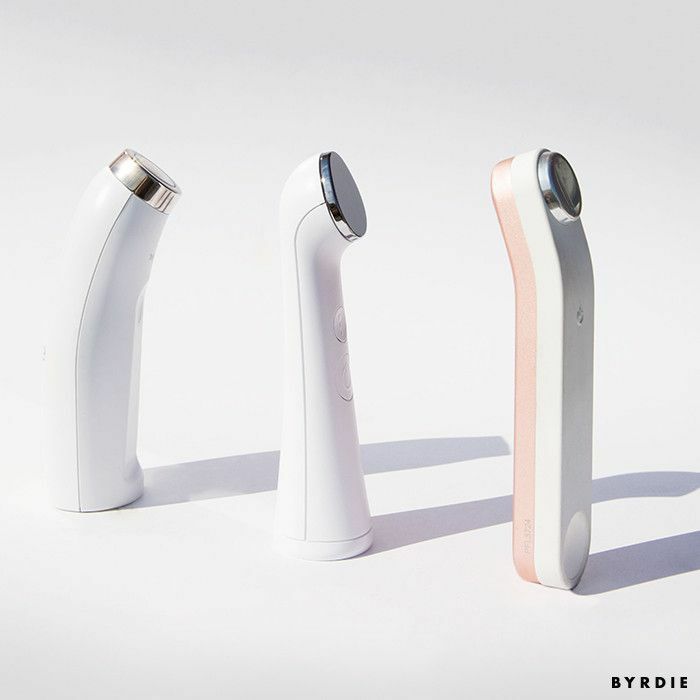 It's yet another LED device in this lineup, but the difference with the Reverse is that it uses medical-grade light of the same intensity that you'd find at the dermatologist's office or a medi-spa—an impressive spec that has allowed me to overlook its bulky size and weight. 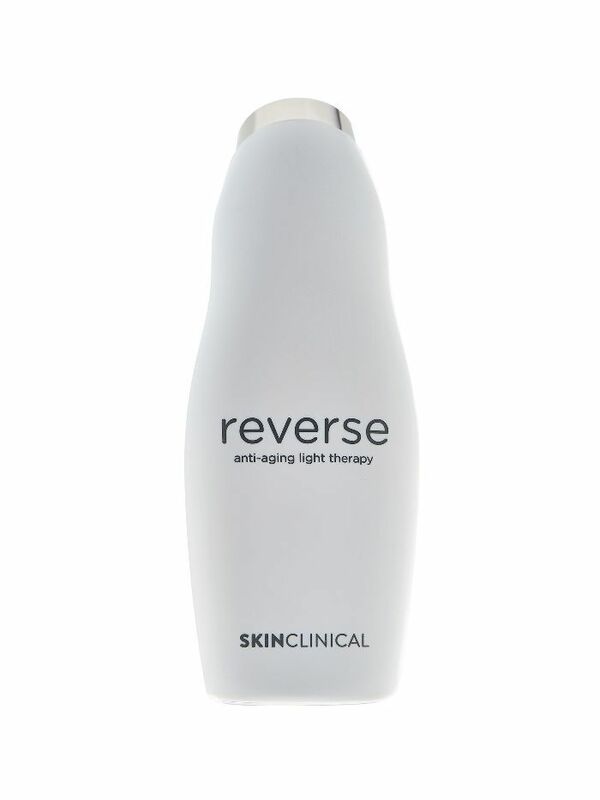 While I do love the three-light system of Skin Inc's product, the speedy results of this specimen are undeniable: It even managed to knock out those pesky forehead lines in a few weeks. So really, this challenge gave way to another, one that feels truly insurmountable: How do I make room for multiple devices on my vanity? Follow-up question: Do I really need two LED devices? Ugh. Yes. Yes, I do. See more tips on how to take care of your skin in your twenties.